In a surprising twist in the US, Chicago prosecutors have dropped all charges against Empire actor Jussie Smollett, who had been accused of staging a fake hate crime. Cook County State’s Attorney’s office issued a brief statement but did not say that Smollett had been exonerated. “I’d like to remind everybody a grand jury indicted this individual based on only a piece of the evidence that the police had collected in that period of time. So a grand jury actually brought the charges,” Mayor Emanuel said. Cook County State’s Attorney Kim Foxx had earlier said she would recuse herself from the case, after having a conversation with a Smollett family member early in the investigation. He’s already been tried in the court of public opinion, which arguably is worse than any lawful punishment these days. He’s a joke now, a meme. He’s the guy that tried to use the ‘current climate’ to his advantage, failed and got caught, and then used his privilege to weasel his way out of it. He’ll never be taken seriously ever again. If Shakespeare were around today, he might have written, ‘Something’s rotten in the state of Illinois’. I paid the fine, I’m doing the time…but…I didn’t do it. ? 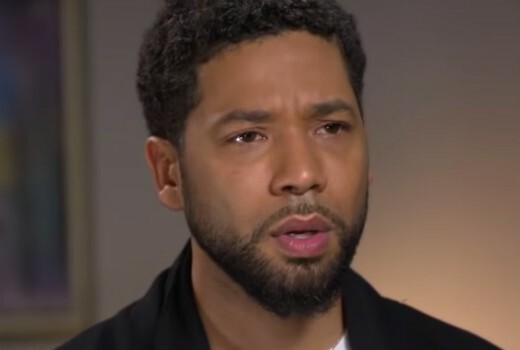 “Phone records indicate Smollett talked to the brothers about an hour before the alleged attack, an hour afterward and after they had left the country, authorities say.”(CNN). Or people following the story indepthly ..
Just when you thought this situation couldn’t get any more bizarre. You can anyway with anything, as long as you are a celebrity! This is so, so, so wrong! This is soo wrong . Apparently Michelle Obama stepped in and all family friends with the prosecutors and pulled the necessary strings . Funny stuff . He will still be hated by most , so theirs no running from that I guess ..